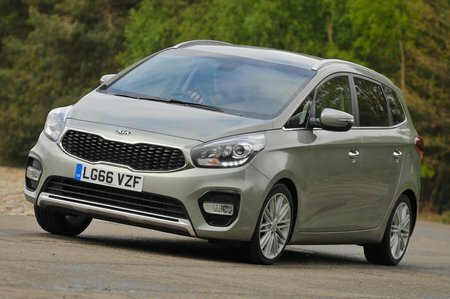 Kia Carens Performance, Engine, Ride, Handling | What Car? Three engines are offered: a 133bhp 1.6-litre petrol and 114bhp and 139bhp versions of a 1.7-litre diesel. The petrol engine is smooth but feels gutless at low revs, so has to be revved hard to get the best from it. The 134bhp diesel has no trouble hauling around a heavily loaded Carens, although it’s not as flexible as some engines in rival MPVs; you have to keep the revs above about 1600rpm. The lower-powered diesel isn’t as quick, but its torque arrives earlier in its rev range, so it feels nearly as flexible. Kia’s standard six-speed manual gearbox is light, although not the most precise, when shifting. We’re yet to drive the seven-speed dual-clutch automatic available on the higher-powered diesel model. 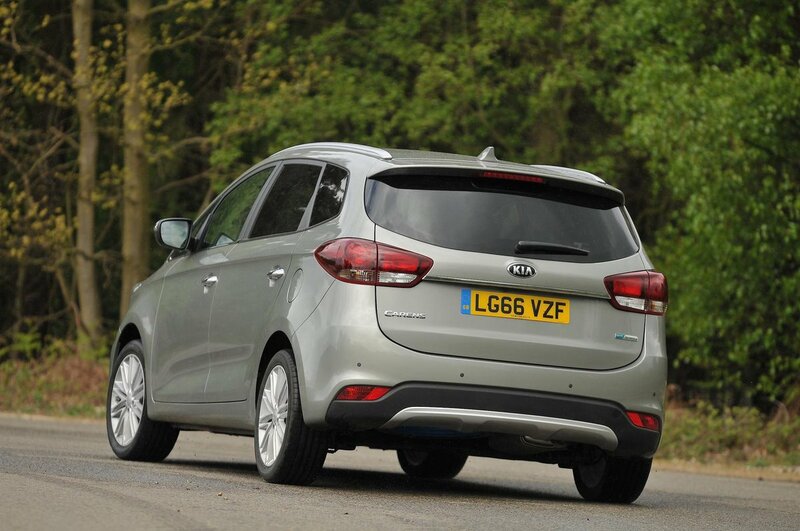 Kia has put comfort before agility, which is no bad thing in an MPV. The ride generally feels a lot more forgiving than a Renault Grand Scenic’s, although things can become a bit unsettled over scruffy road surfaces (not helped by the Carens’ larger alloy wheels), and the Carens rolls far more than a Volkswagen Touran in bends. The fact that the Carens is quite slow to respond to steering inputs also counts against it on twistier routes, while the steering itself has an artificial feel across all three of its modes - Normal, Comfort and Sport. The Carens isn’t the quietest MPV on the move. The petrol sounds a little strained at the top of its rev range, and the diesels are particularly vocal when pushed compared with rival efforts. However, all of the Carens’ engines settle down well at a cruise. Unfortunately, road and wind noise begin at around 60mph, the former being particularly bad on larger alloy wheels.